Unlike in the past decades when cancer facilities were scarce, this decade has seen thousands of cancer hospitals, hospice centers, cancer research institutes and support groups come up worldwide. 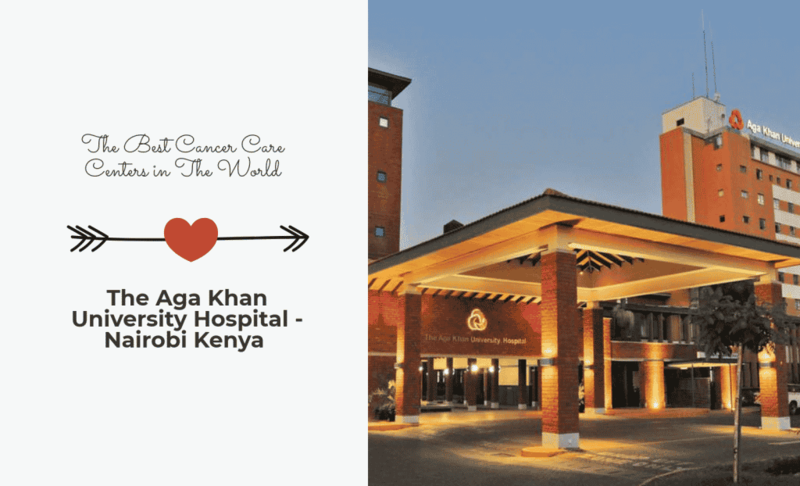 In Nairobi alone there are over 10 cancer awareness and support centers including: – the Cancer awareness center of Kenya; Cancer Care Kenya, Faraja Cancer Support Trust and The HCG CCK Cancer Centre. 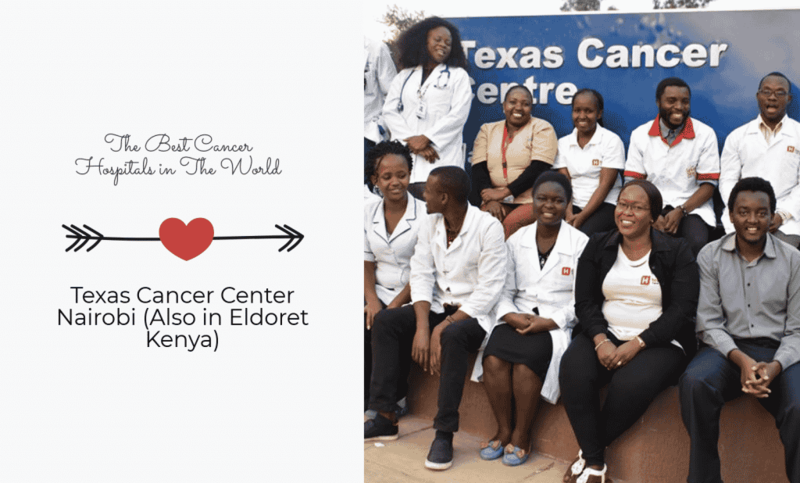 However the ever-growing number of cancer care facilities is not to say that Kenya is top at cancer treatment and care giving options; there are hundreds other topnotch cancer hospitals in the world. 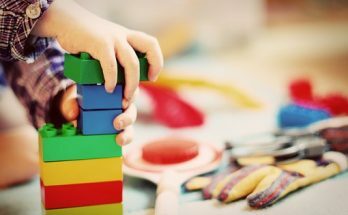 Centers which are good to go — technologically; support wise and offer the latest treatment, training and clinical trials to patients from around the world. Not to mention that they only apply the most advanced technology in treatment, care and cancer prevention. 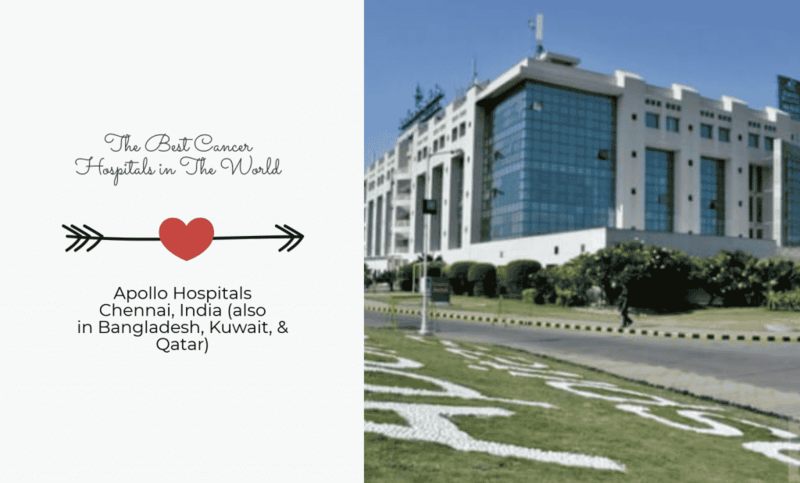 Though so many, in this post we will only discuss 9 best cancer hospitals spread across continents. Though registered in late 1996 I only got to know about it’s existence at the beginning of February 2017. 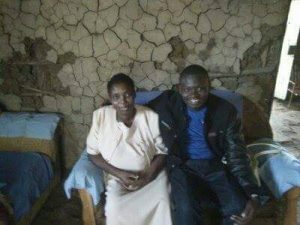 This was 3 months after my mum was diagnosed with stage 4 liver cancer in Moi Referral Hospital Eldoret and transferred to Jaramogi Oginga Odinga Referral in Kisumu. Close to home. The news of her sickness got us so awfully unprepared. Without any prior knowledge about the disease — except that it kills; it is expensive to treat and the best cancer hospitals in the world that manage it so well are so many kilometers away. Maybe in India, South Africa, The United States or England. We were just but speculating as a family. And even if we knew the best hospitals that treated cancer then, I doubt we would have afforded it. So out of intuition and the word of the referring Doctor that Kisumu Hospice was the best in Western Kenya; we admitted our beloved mother under the Hospice’ palliative care. 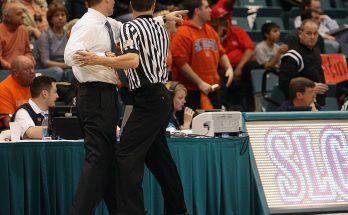 And if you asked me if there is any treatment done in this center, I’ll boldly tell you NO! It’s nothing I’d recommend to anyone. It’s just utter disregard and morphine stuffing. And by God’s grace, your patient should loose weight, stop eating and die in 2 months. You can however change the ending of such nasty narratives by reading along to find the best info that I gathered online while reading about cancer during my mum’s sickness. 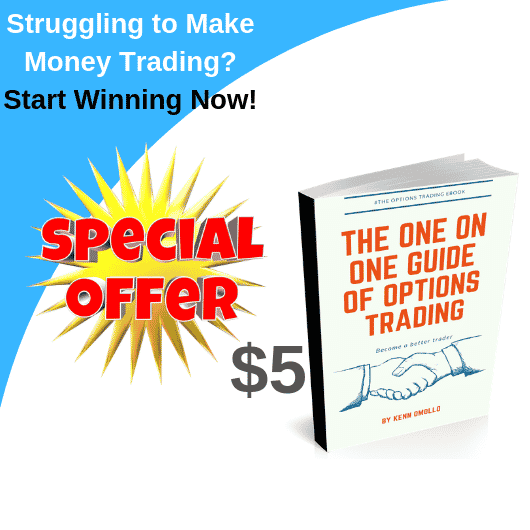 Includes: – best hospitals for hematology, bone marrow transplant, Palliative care, Radiation Oncology, Radiation Therapy, Research, Clinical Trials and Training. 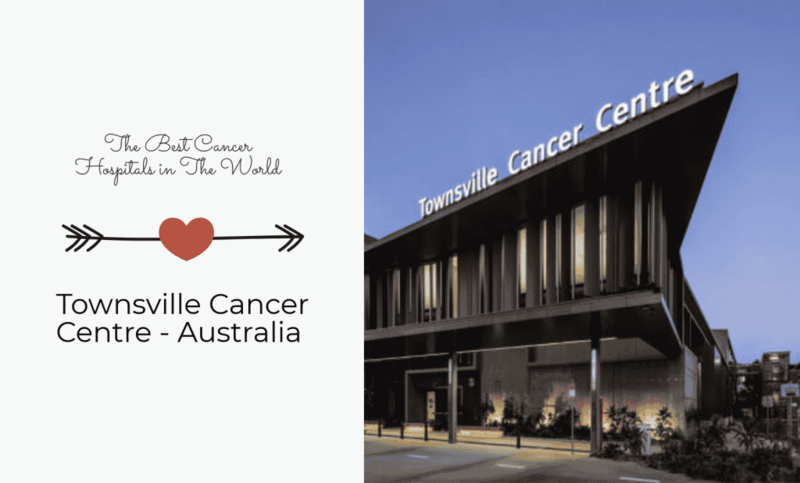 One of the top cancer facilities that is so serious about treating cancer and giving the best care to patients is the Townsville Cancer Center – Australia. Located in Douglas Queensland the center aims at increasing their reach and treating as many cancer patients as they can. A thing that they have partially achieved by embracing telehealth technologies. Among services offered at the hospital include bone marrow transplantation, radiation oncology, hematology, medical oncology, palliative care, training research and clinical trials. Visit hospital website to seek medical advice, request patient referral and to console treatment options for cancer related ailments. If you need cutting edge cancer treatment and specialized care then M.D Anderson Cancer Center is the best hospital to seek. Not only has it been the best hospital for cancer care for 29 years; it also treats a varied list of cancer sicknesses. Oral Cancer, Penile cancer, rectal cancer among hundreds other cancer types. Other practices also performed at the cancer hospital include – proton therapy, stem cell transplantation and reconstructive surgery. 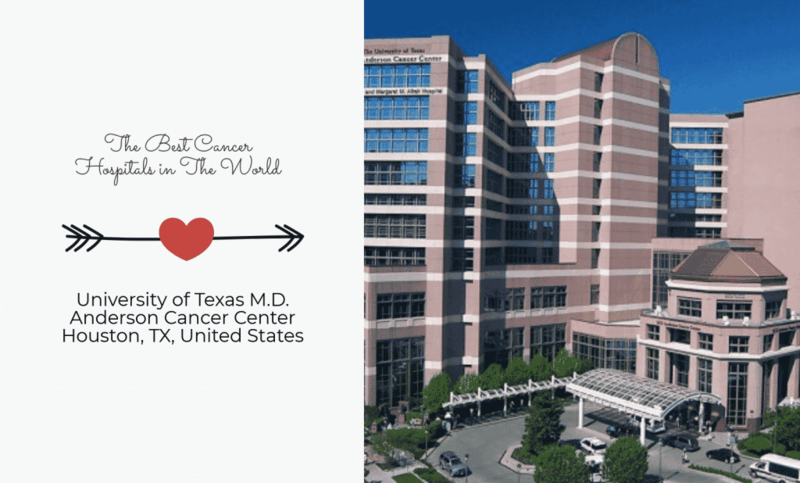 Cancer treatment options practiced at the University of Texas M.D Anderson Cancer Center – Houston, Texas United States are some of the most technologically advanced services of this decade. Not to mention that the center also does research on Nano-medicine and nuroimmunology. If you plan to seek treatment in the US, Visit the M.D Anderson Cancer Care website first to gather relevant information prior to your travel. This is arguably one of the best cancer hospitals in Europe and factually the largest in the whole of Spain. 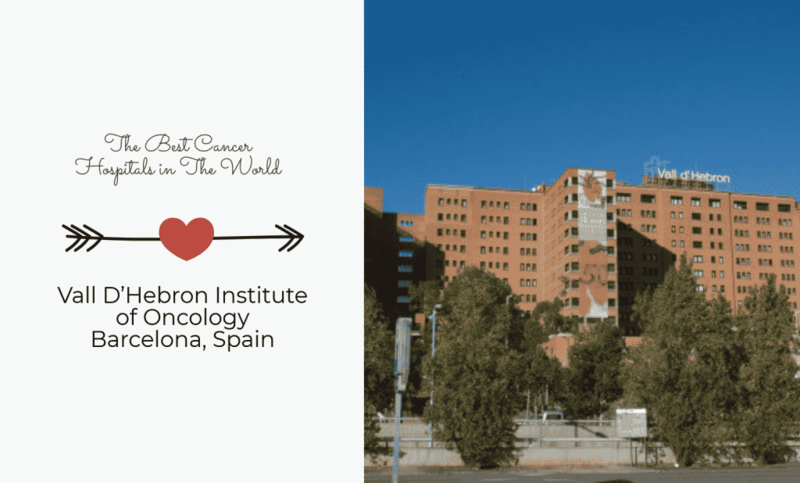 Beside maintaining specialty in preclinical, clinical research and transnational research; Vall D’Hebron Institute of Oncology also plays part in researching and developing core cancer technologies. Suffice it to say that the cancer center offers clinical trial programs which already saw over 800 patients engaged last year. Visit the cancer center website to learn more about their programs and care schedules. For the longest time now it has been a popular Kenyan opinion that the best cancer hospitals in the world are only found in India. You will die scraping off this notion from the minds of many a cancer affected Kenyan family. But the truth is cancer care and treatment can be done from any country, by any national to any patient. If you don’t believe me then explain why Apollo hospitals in Kuwait and Qatar are as much considered the best as the Apollo hospitals in Chennai India and Bangladesh! Among cancer treatment options offered across Apollo hospitals is diagnosis by technologically advanced diagnostic tools like genetic profiling. Cancer treatment in Apollo hospitals are done by image guided radiation therapies, Da Vinci Robotic suggery systems and through intensity modulated radiation therapies. With plans already underway the facility aims to also introduce advanced proton therapy treatment options. Visit Apollo Cancer Center Website to learn more about the facility and to arrange for treatment in India. 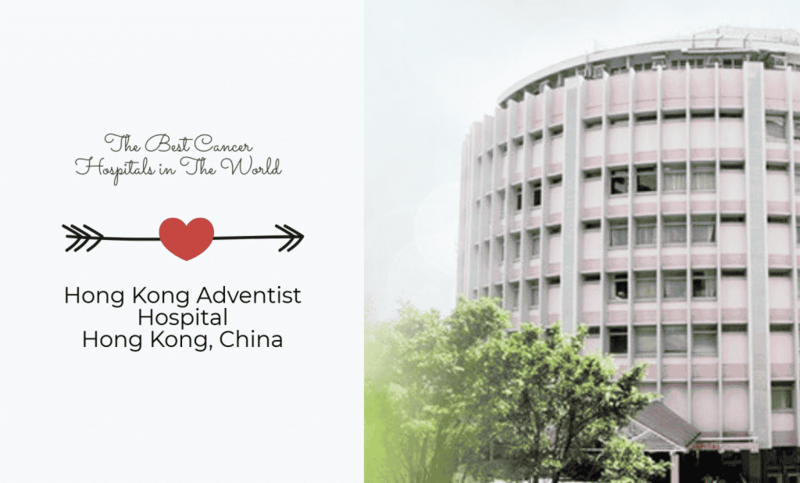 Like all the other world class cancer centers that we have seen in this list, Hong Kong Adventist hospital uses specialized and the most advanced cancer treatment technologies in treatment. However, what makes them stand out among the rest of the centers is their use of cyberknife technology in surgeries; the hospital’s involvement in giving clients spiritual support, nutritional guidance and even going as far as offering patient pick-up services to Oncology. For locals. No wonder it is Hong Kong’s top cancer hospital. Unlike all the other cancer care centers in this list, this hospital only focuses on palliative care; 24 hours inpatient emergency, cancer screening and creating awareness,linear accelerator radiotherapy and chemotherapy. By Kenyan standards it is on of the best cancer hospitals in the country. Visit the Texas Cancer Center Website to learn more about services offered and to schedule care. 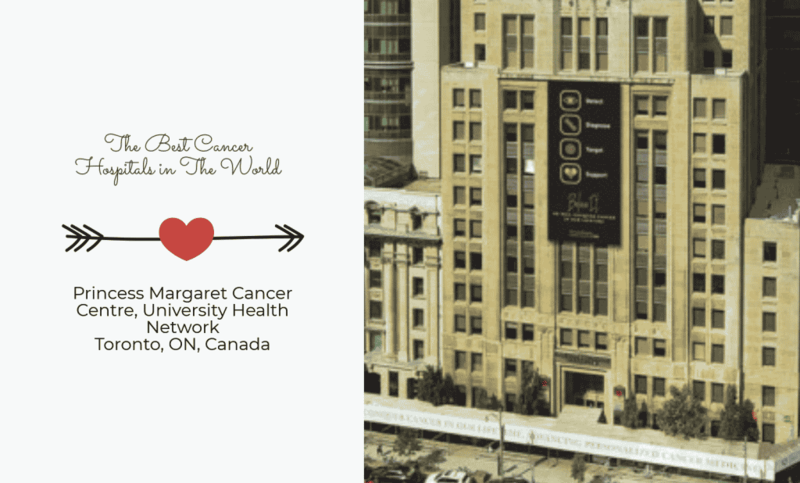 Princes Margaret Cancer Center is one of the biggest cancer hospitals in the world. Then explain why it would have over 3,000 skilled staff, 130 beds, 17 radiation treatment rooms and thousands of cancer patients visiting every year. Recently the hospital innovated radio guided seed localization procedures to be used in treating breast cancer; robotic suggery procedures for prostrate cancer and many more. Princes Margaret Hospital is also known to do plastic and reconstructive surgeries and gamma knife surgeries. Visit the Princes Margaret Cancer Center website to learn more about their advanced and specialized services. This is the largest cancer center built in one site in the whole of Europe. The center also boasts of being the largest in radiotherapy and chemotherapy departments in the world. Among services offered at the hospital are intense cancer research and clinical trials medical oncology, palliative care, gastroenterology, nuclear medicine and suggery. 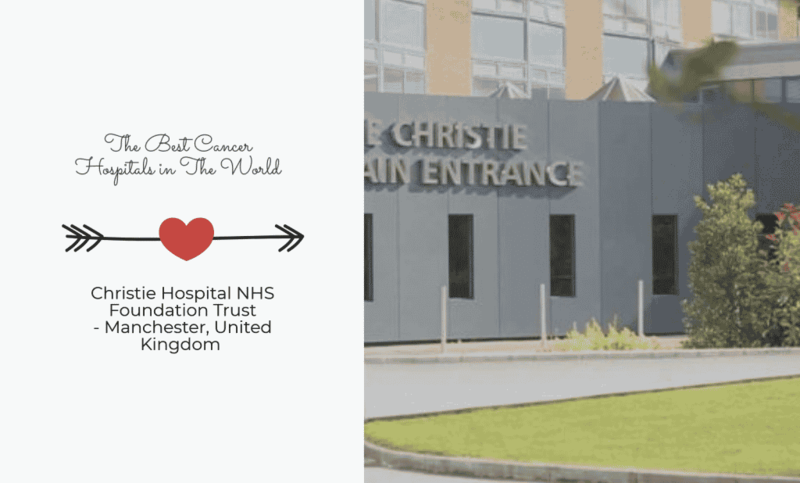 Visit the Christie Hospital NHS Foundation Trust to make enquirers and to learn more about the center. The Aga Khan University Hospital is arguably the best health facility in sub-Saharan Africa. In Kenya it has its main branch in Nairobi with satellite branches spread across the country and other incredibly mid-sized branches in Kisumu and Mombasa cities. While its main focus is both in heart and cancer diseases, we will only focus on cancer stay in our topic of discussion. Oncology services offered at the center include outpatient cancer care services, palliative care, chemotherapy, radiotherapy and CT stimulation of radiation therapy planning. Ps. Note that the numbering used in this post do not denote the position of any care center in the world. 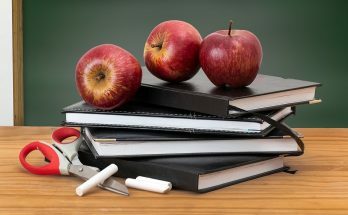 Some of the info used in this article was sourced from Top Master’s in Healthcare Administration.